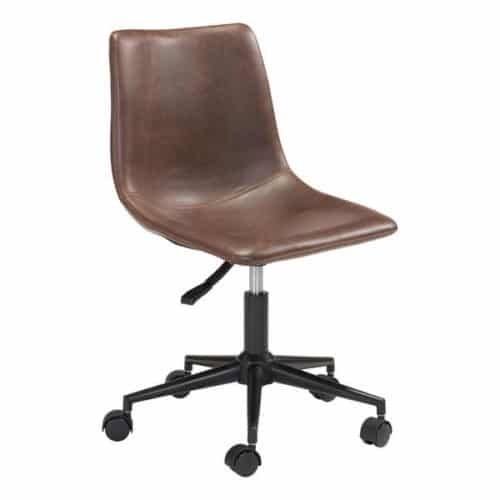 For the excutive of everything, this high back office chair in vintage black faux leather will keep you comfortable and on task all day long. 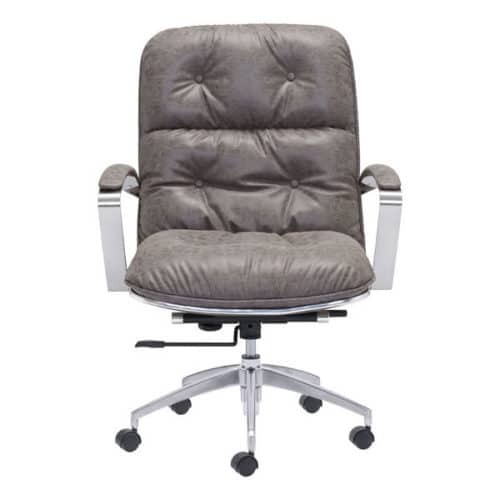 Super stylish with its horizontal tufting and smart detail stitching. 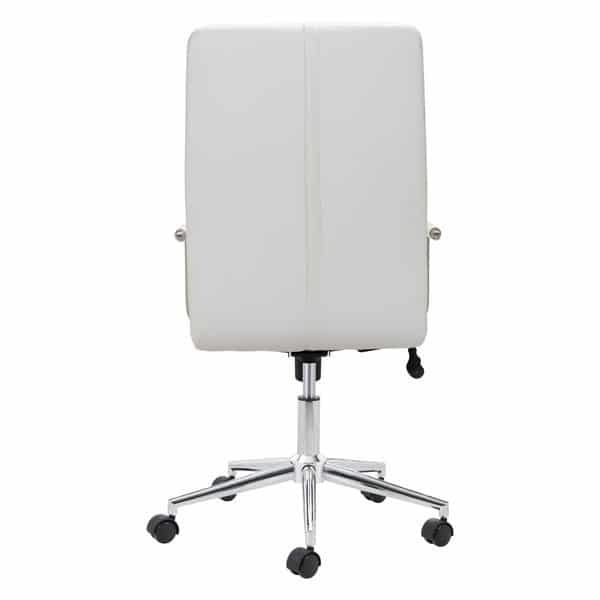 Sturdy chromed steel base has five casters for smooth motion. The lever beneath the seat conveniently moves you up or down as needed. 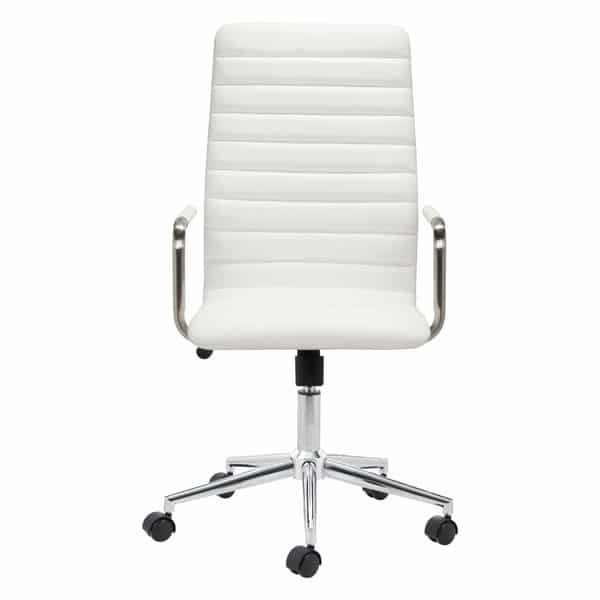 Also available in white faux leather. 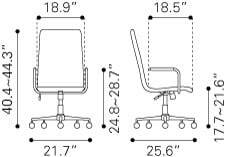 Long Description For the excutive of everything, this high back office chair in vintage black faux leather will keep you comfortable and on task all day long. 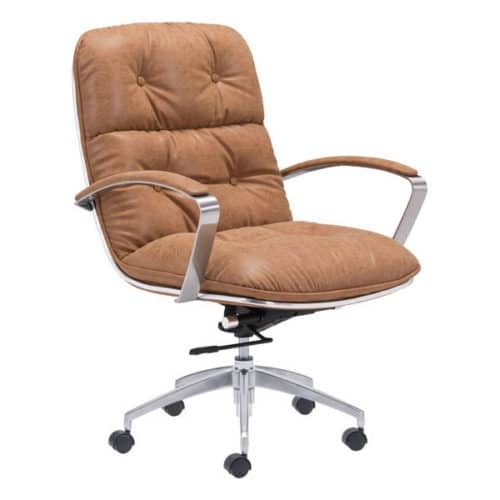 Super stylish with its horizontal tufting and smart detail stitching. 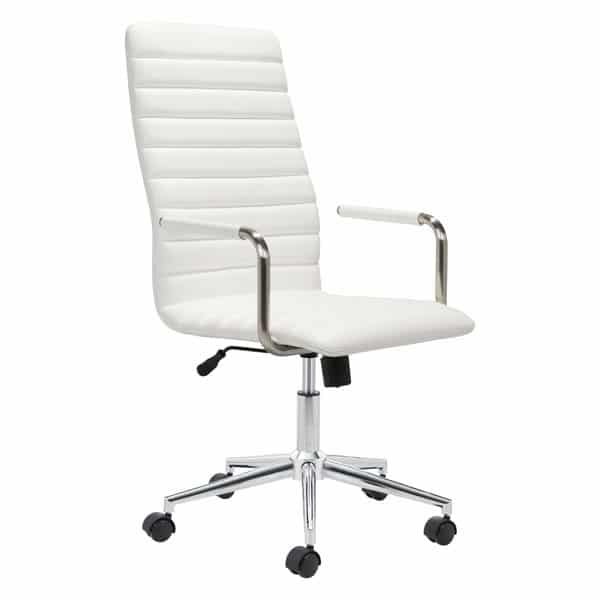 Sturdy chromed steel base has five casters for smooth motion. 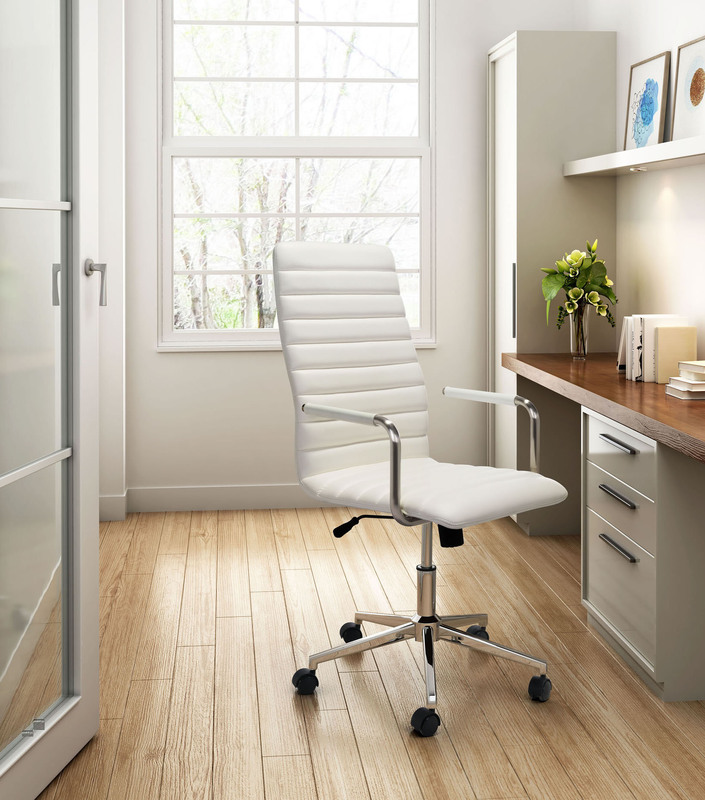 The lever beneath the seat conveniently moves you up or down as needed. 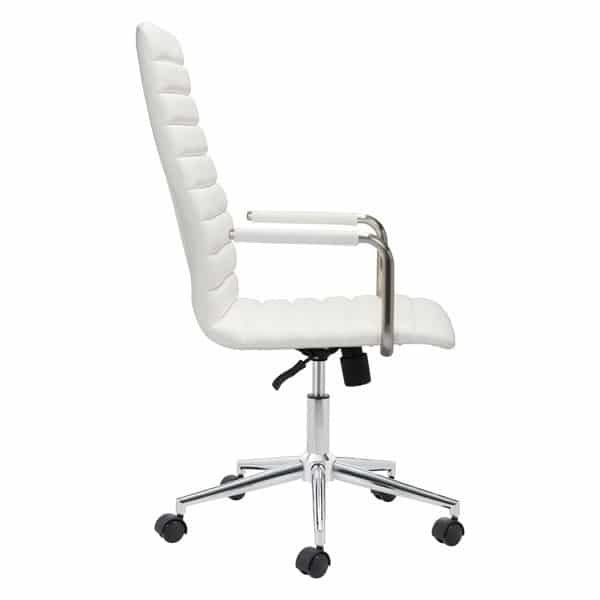 Also available in white faux leather.